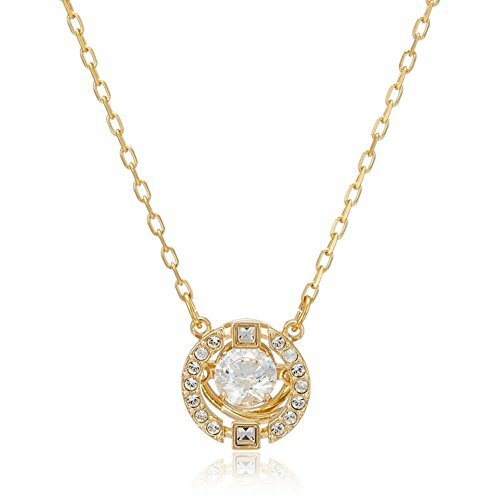 This gorgeous necklace takes it inspiration from the idea of a 'dancing crystal' and shows a round stone inside a 3D cage accented with crystal pavé. An essential addition to any jewelry box, it will give your daytime style a playful sparkle. The necklace is gold-plated.